The Paint Creek Trail was the first Rail-to-Trail In Michigan. It is 8.9 miles long and located in northeast Oakland County running through the cities of Rochester, Rochester Hills, Oakland Township, Orion Township, and Lake Orion. The path is an 8 feet wide all-weather surface of crushed limestone and can be used year-round to jog, walk, hike, bike, ride a horse, cross-country ski, fish or just watch nature. It's a very nice, beautiful bike as you'll see from the photos. It has rivers along the way as well as a year-round, 7 day a week cider Mill - Paint Creek Cider Mill. The trail is owned and managed by the Paint Creek Trailways Commission and is also actively maintained by the Friends of the Paint Creek Trail. 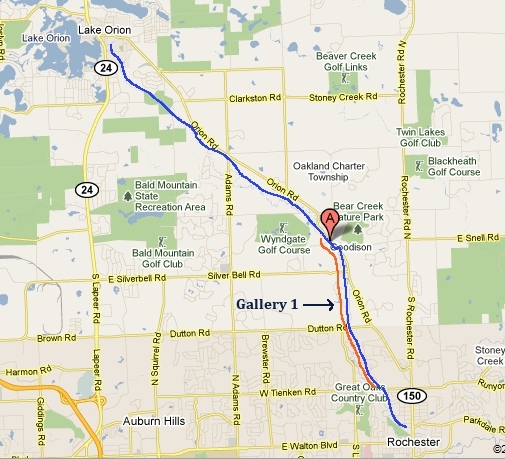 Blue line is entire Paint Creek Trail. Red/Orange line is Gallery 1. 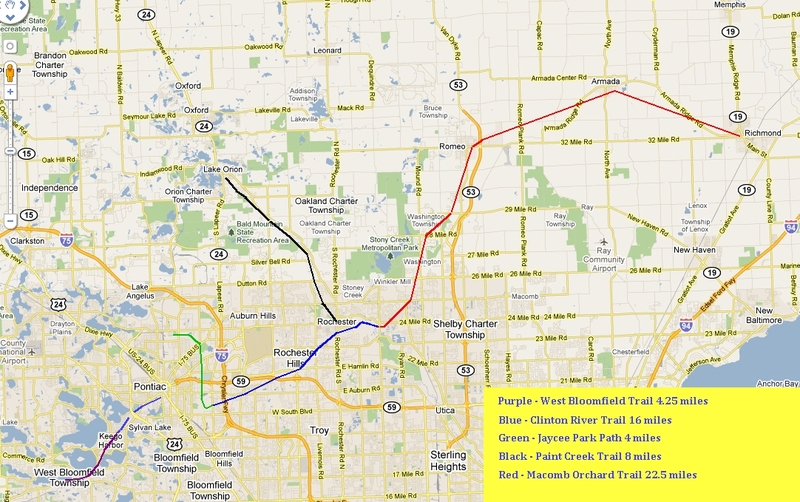 Click here for a large map showing how the Paint Creek Trail runs into the Clinton River Trail and where the Macomb Orchard Trail and West Bloomfield Trails come in as well.